Our Picnic Lunch Meals are a quick, healthy option to feed your group of 20 or more. Simply select the kind of sandwich, side and drink you want and we will have your lunch ready for pick-up. As a bonus, we are happy to allow your group to use our Catering Area* to enjoy your lunches! Individually packaged and ready for pick-up along side your lunches! * Picnic Lunch Box orders must be placed at least 2 weeks prior to your visit date. Reserved seating in our Catering Area is not guaranteed when purchasing picnic lunch boxes. We will do our best to accommodate your group when seating is available. *Must be booked directly with the Group Sales office in conjunction with your meal order. We cannot issue refunds or credits for ticket sales that are not booked in conjunction with a catering. Must be booked at least two weeks in advance of visit date to qualify. 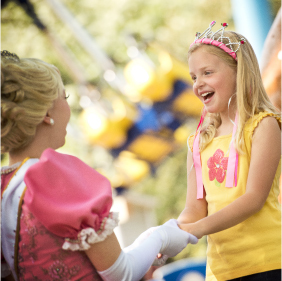 To book you group’s Picnic Lunch Meals and admission, contact the Group Sales office at 1-866-FUNatDW (386-2839).